The international break is over and Premier League action returns this weekend. With a 100% record thus far, manager of the month Javi Gracia has took Watford to new heights near the top of the table this campaign whereas United boss José Mourinho only got his first convincing win of the season last time out. It could be real contest on Saturday night between two sides who both know they are capable of claiming victory. Doing things simple with an aggressive and disciplined in a 4-4-2 formation, Garcia has rarely changed things so far during the season. The former United goalkeeper Ben Foster returned to Vicarage Road in the summer transfer window and – along with a stable back line – conceded just 3 goals. Marauding full backs Daryl Janmaat and José Holebas give the hosts attacking options up the pitch with their industrious style. Holding midfielders Étienne Capoue and Abdoulaye Doucouré form a formidable pairing in the middle of park giving Will Hughes and Roberto Pereyra freedom to roam on the flanks. Up front, the old-school striker partnership of Andre Gray and skipper Troy Deeney can cause problems with their power and shared eye for goal. Marcus Rashford and Romelu Lukaku both notched 2 and 3 goals receptively for their nations during the break, however the former begins his three-match ban for this one whereas the latter comes into it in decent form. 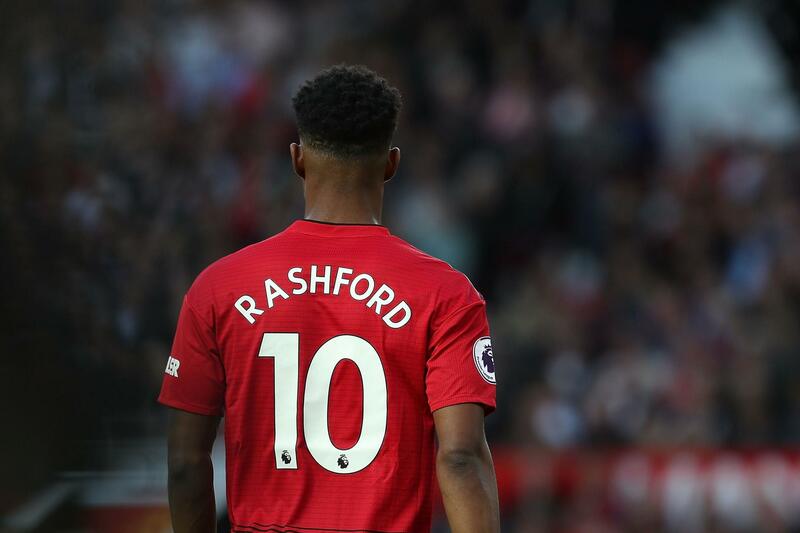 In his press conference, Mourinho made a drawn-out point about how Rashford has been involved in every match possible for him in just over two seasons, due to pundits recently suggesting that the 20 year-old academy product should be loaned out or even sold. Luke Shaw suffered concussion last Saturday night for England but woke up around one hour later. Paul Pogba produced some worrying quotes regarding his future over the break which have divided some parts on the fan base on social media. Diogo Dalot and Marcos Rojo will not feature in the match as they continue their respective recoveries by featuring for the U23s against Reading tonight. Ashley Young may well come in to replace Shaw (who is available to play) at left back if Mourinho does not want to risk the United player of the month. Chris Smalling and Victor Lindelöf fared well in their most recent centre back partnership meaning they are likely to retain their spots. Marouane Fellaini produced an excellent display at Burnley almost a fortnight ago but a minor problem ruled him out of Belgium duty over the break. so Fred or Andreas Pereira (who made his Brazil debut on Wednesday morning) could replace him alongside Nemanja Matić and Pogba. Alexis Sánchez supposedly declined playing for Chile to stay with United last week so should be ready to fire. Assessing what went wrong at Vicarage Road: What does Wayne Rooney offer anymore?